Where your imagination becomes reality! We provide end to end services, starting from an idea ending in a revenue generating system. 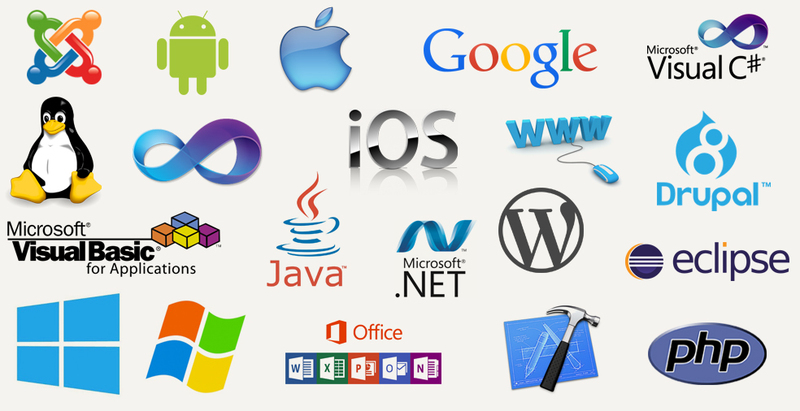 Following are the services areas, platforms and technologies we work and provide services in. We have a simple, standardized process for all the application development assignments. We divide each of our project into seven steps namely requirements gathering, designing prototype, finalizing the milestones and terms, designing the architecture of the application, developing, Quality assurance and final deployment. We guide and keep you updated throughout the process so that your idea becomes alive the way you dreamt it! Whether it’s an Android app, iOS app, web app or desktop application, we are selling the commitment and willingness to help you achieve your goal. We understand that it takes a lot of tries and patience to convert an awesome idea into a close to perfect reality, which is why you will find us standing with you with all our application development expertise, through thick and thin, helping you through each step and guiding you towards success! Being in the business of software development has helped us realize that coming up with a unique idea is not easy and sometimes the primary competitive edge a startup has is its disruptive idea. So when we sign an NDA, we make a personal promise to you on top of the legal contract. But an idea is nothing without proper and timely implementation, which is why we guarantee that as well! What technologies we work on?